Hello nostalgia! The 90’s come alive with one of this year’s biggest trends—the once-dorky now painfully awesome, Dad Hat! From home room to the runway, this throwback style made a huge comeback in 2016. And we know why: Custom embroidery is cheap! Everyone’s getting in on the action—want to grab your piece of the pie? Keep reading to get started on your custom Dad Hats! What is a Dad Hat? Who knew dads had so much style? 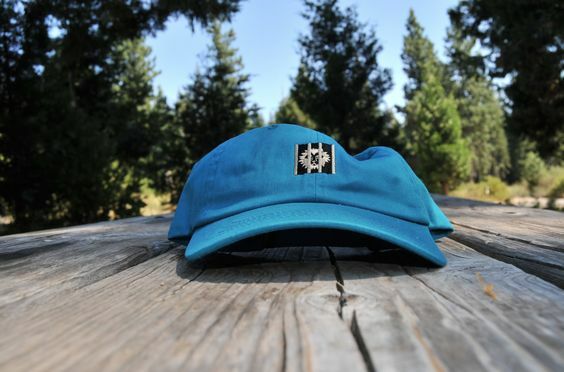 These adjustable baseball caps generally come with 5 or 6 panels, a curved bill, a button on top and an adjustable strap in the back. The key to the “Dad Hat” look is an unstructured baseball cap with a low profile—making this the ultimate casual option in a time when headwear is becoming more and more sumptuous. We have an array cheap Dad Hats on sale in many different colors and styles—all ready for embroidery! The Anvil 146 and the Yupoong dad hat 6245CM are some of the best basic options. 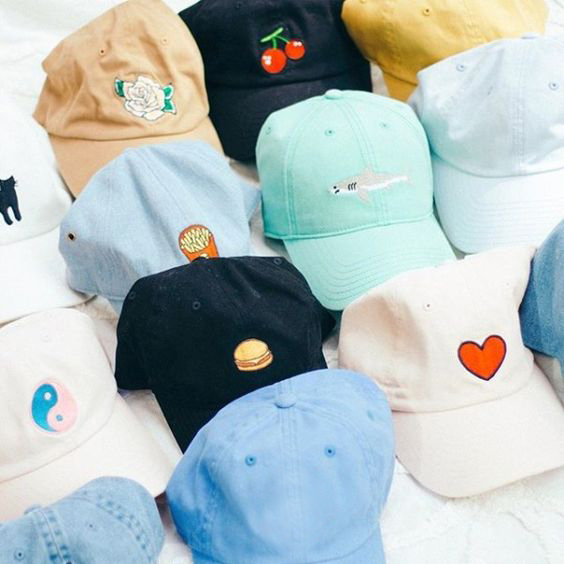 Blank Dad Hats are the perfect canvas for your brand’s logo or quirky designs. 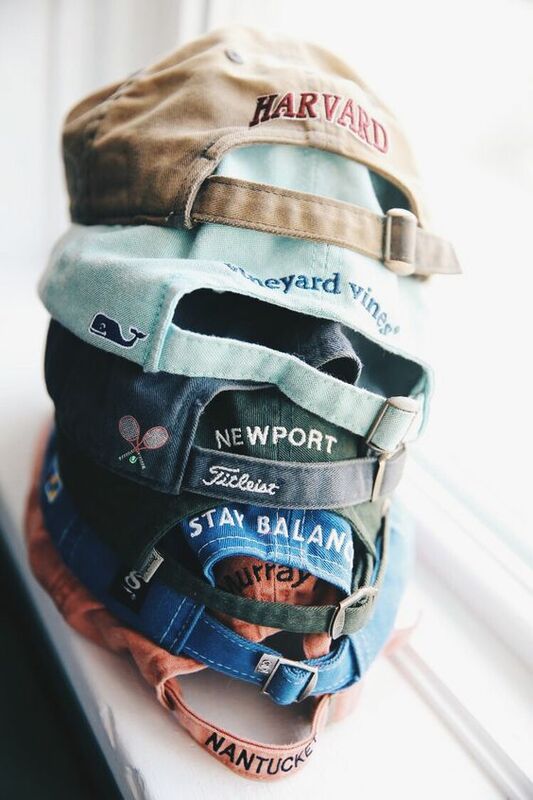 And with so many wholesale dad hats to choose from, it’s easy to find the perfect fit. Often made with 100% cotton twill, some are brushed or sueded for a textured finish. Many vintage dad hats have been washed to create a weathered look. Straps usually come in self fabric but some styles like the Adams LP101 offer leather straps and brass buckles for a more polished look. More variations also available with organic cotton, two-tone colors, sandwich bills and even distressed Dad Hats! Embroidering a batch of custom dadhats is easy, relatively cheap and most of all, FUN! From sarcastic quotes to your favorite food—the sky’s the limit. When it comes to pricing, you’ll generally pay per square inch of surface area. So if you don’t have a lot of money to work with, choose a design you can easily scale down or go with some simple text. Unlike with screen printing, the amount of colors in your logo doesn’t necessarily affect the price! Which means you don’t have to feel held back during the designing process just to meet your budget. Go crazy and embroider that rainbow peace sign! 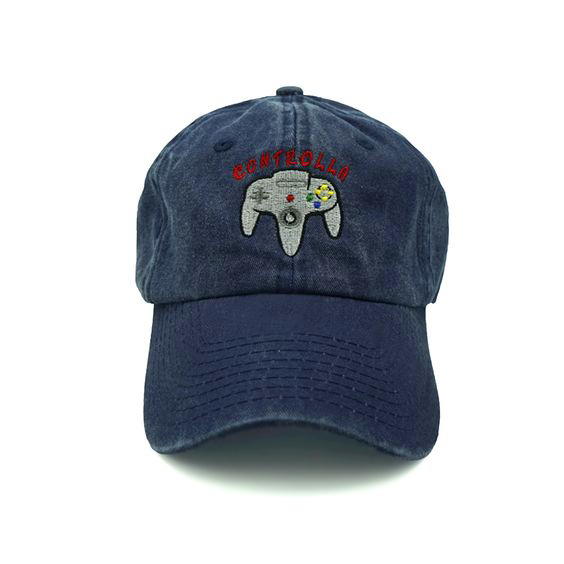 Or pay a tribute to your Nintendo 64! Looking for a price quote on custom Dad Hats? Click here to get started!